Lace up and take refuge from the Houston heat beneath the shady oak tree-lined track of the Rice University Loop. Located along the perimeter of its eponymous campus, the 2.92 mile Rice University Loop offers locals a sheltered stride along the outskirts of the evergreen Museum District and nearby Medical Center. Guests can hit the crushed gravel and dirt track for a safe stroll through the residential neighborhood complete with scenic views of ivy-covered homes, bustling students rushing to and from class, striking public art worth pondering, and of course, plenty of other runners to navigate around. Visitors can enjoy free parking in the neighborhoods surrounding Rice, but be sure to double-check the street signs to be certain you won’t get towed. Click here for paid on-campus visitor parking information. Visitors should note that though the track is three miles long, it is only five- to six-feet wide, allowing at most two single joggers/walkers to pass one another. That said, the loop is best suited for lone athletes rather than groups expecting to be able to chat alongside one another, small children, or bikers looking for clear paths. The track is typically always populated, but not well-lit, at night. So bring a headlamp after dark, if you intend to avoid bumping into fellow runners and the occasional pesky tree root from the surrounding oak trees. 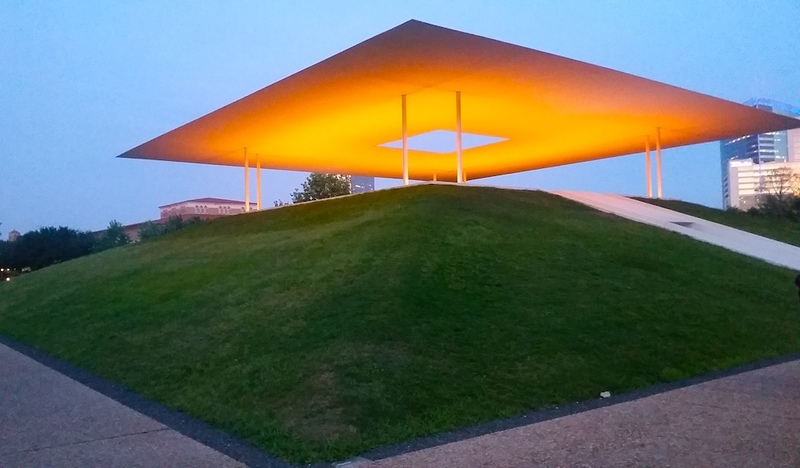 If you’re in need of a longer run or a destination, direct your stride to the shopping mecca of West University and Rice Village or trek to the top of the green hill of Hermann Park in the Museum District. 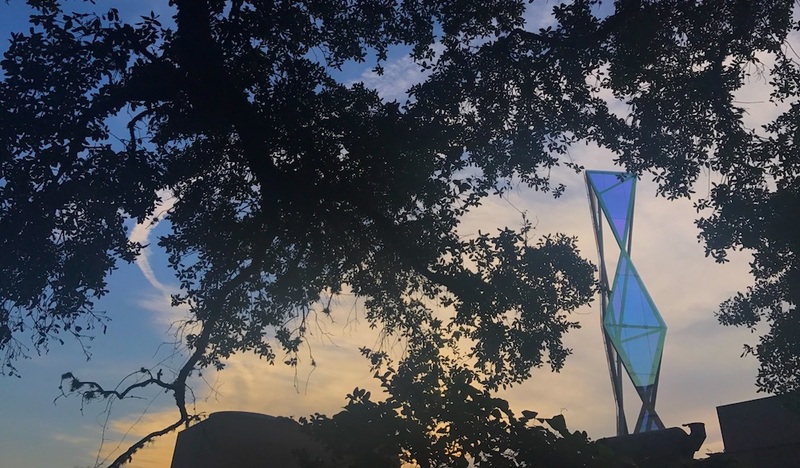 For an on-the-fly scavenger hunt, see if you can check out all the amazing public art that can be spotted around the Rice University campus. Parking: Free parking is available in the surrounding neighborhoods and in Hermann Park nearby. 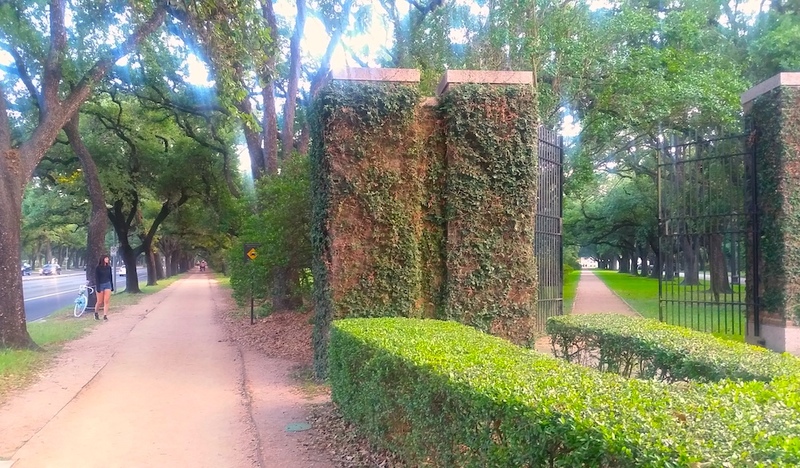 Hermann Park connects to the Rice University Loop at the intersection of Main Street and Sunset Boulevard. Paid visitor parking is available on campus. Click here for more information.